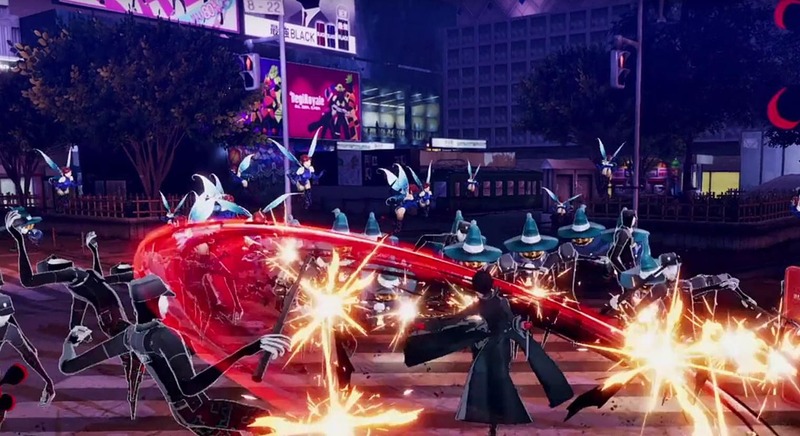 The second of this week's Persona Super Live Concert reveals was the mysterious Persona 5 S, which turns out to be a musou game titled Persona 5 Scramble: The Phantom Strikers. P5S will launch on Nintendo Switch and PlayStation 4, though no timeframe was given for when fans can expect to see the newest Persona spinoff. Musou games, for those unfamiliar with the term, are games in the style of Dynasty Warriors, focusing on frenetic combat against waves of enemies. 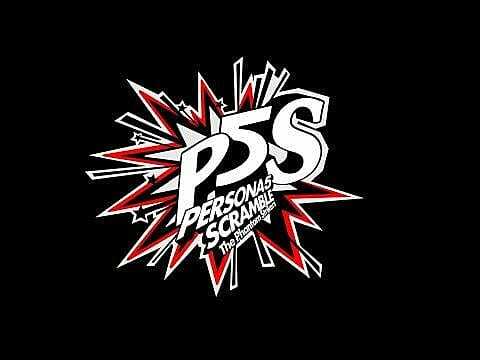 Like most modern games in that genre, P5S is being developed as a partnership between Atlus and Koei Tecmo, specifically, KT's Omega Force division. The trailer (see above) doesn't reveal much information, though Twitter user MysticDistance once again translated the reveal as it happened. The story takes place, unsurprisingly, in Tokyo when a mysterious occurrence takes place that's similar to several other bizarre events taking place around Japan. The trailer depicts a few enemy groups, including series staple Persona Pyro Jack and some figures that look like a cross between police officers and mannequins. These enemies are the ones responsible for the strange happenings the Phantom Thieves must investigate. 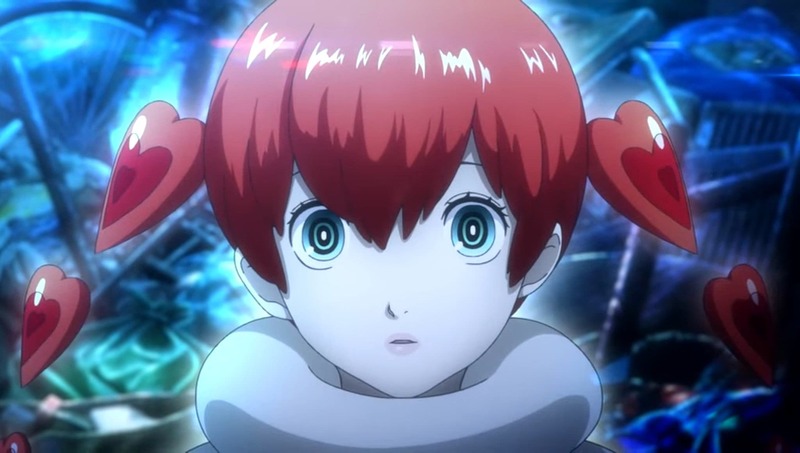 There will also be a new character in Persona 5 Scramble, and though nothing is known about the newcomer yet, it's believed the girl pictured below might be said character. Ever since P5's main character Joker was announced for, and made his way to, Super Smash Bros Ultimate, Persona fans hoped the mysterious web domain registered as P5S was a sign Persona 5 was coming to the Switch. After yesterday's announcement of Persona 5: The Royal (or Persona 5 Royal in the West), those hopes diminished somewhat, as it seemed unlikely Atlus would release an enhanced version of the game on one platform and a port of the base game on another. However, the announcement does fit with both a survey Atlus released last year asking fans what they wanted from a new Persona title and the popularity of Koei Tecmo's other musou collaborations. Fire Emblem Warriors sold over one million copies worldwide, while Hyrule Warriors on Switch surpassed KT's expectations. When people look at this card, it seems that it requires a lot of mana to be able to accomplish anything. But it is actually not true, as pointed out by Burn players in Modern. You would need only three mana to cast a copy of Lightning Bolt and a copy of Lava Spike from your graveyard and your library, which equals extra six damage. With this kind of perspective Finale of Promise could easily become one of the Burn staples, if enough players will notice its level of power. All hail the Boar God! The most talked about combo in town is the one when you get to put Emrakul on the battlefield tapped and attacking. Since there are entire archetypes based around putting Emrakul and other ridiculously powerful creatures on board, Ilharg will definitely see play as that extra damage pusher. There are simply no drawbacks with Ilharg. It's simple and effective, and that's what most players are looking for. Depending on how good it will perform there is a big chance that Ilharg will rise in price, and there is no real way to say when it will stop. But this is definitely one of the most investment friendly cards in War of the Spark. Since Green Sun's Zenith got banned in Modern, players have been frantically looking for a decent alternative. And here it finally arrived in War of the Spark. It does cost one more green mana, but the effect also allows you to search your graveyard and your library, which means that you can put two creatures on the battlefield. This card will surely find its way into the Elves decks in Modern and some Stompy lists as well. So the $10 price is fully justifiable. Currently, Green Sun's Zenith is similarly priced, so Finale of Devastation probably won't go any higher either. These days Gideon is more of a creature than a planeswalker, but it doesn't make him less valuable. On the contrary, a 4/4 creature with indestructible for three mana is something every creature-based deck wants to play. His minus ability is definitely exciting, but a bit expensive. This will surely set many players aback, as historically Gideon's ultimate abilities have almost always been very cheap to activate. As a result, Gideon Blackblade could drop in price, and the limit of it depends how effectively it will be used in current top-tier decks. Almost all Liliana planeswalkers have been historically very valuable, and it looks like the Dreadhorde General is not an exception either. All of her abilities are very strong, and this card can be used in almost any type of deck and format. Usually, such powerful universal tools hold up really well on the market, and this one may get even more expensive in time. The ultimate ability can finish games quickly, and it won't take much to get there, since Liliana already enters the battlefield with six counters. This means that three turns later you can blast all opponent's lands but one and say "Good game." Teferi's passive ability is going to ruin many control match-ups, as it virtually stops all counters being cast. It will have a huge impact on all formats, which should make this planeswalker one of the most sought out on the market right now. It is already priced fairly high, but there is no doubt that it will grow even higher, as more expensive formats like Legacy and Vintage may heavily rely on this card in the future. As for its active abilities, then it doesn't really compare to Teferi from Dominaria, but you can use them to draw an extra card every other turn, and maybe even replay something like Snapcaster Mage. But other than that this card is all about that passive. When this card was first announced the market has set a price of $50 a piece. In time it halved down, which is a more realistic price. If it shows good results in Standard and beyond, then it will rise up a bit again. Nicol Bolas is undoubtedly very powerful, so it is definitely the safest investment one can make right now. Although the mana base is a bit awkward, which locks it to be played only in Grixis decks, it's still going to dominate that archetype. Another possible scenario is that it will have a huge success in Commander format, which is a perfect environment for such powerful planeswalkers. The previous incarnation of Kefnet from the Amonkhet block has not been particularly successful. However, this one looks like a much better candidate for blue control decks that run a lot of cheap spells. Both Standard and Modern players will have a blast playing a 4/5 flying creature for four mana that cannot be destroyed or exiled. This may indicate that God-Eternal Kefnet may rise in price, although not by much. The new Karn planeswalker has no relevant application in Standard and Limited, but it will find its way into Modern and other older formats. It is relatively cheap for only four mana and has an excellent passive ability, which paralyzes artifacts of your opponents. This means that it won't see much play in maindecks, but it looks like almost every sideboard would want to have a copy or two of it. So this should help keep its price on the current level. It's hard to evaluate Ugin, the Ineffable since his abilities look cool at first sight, but then you realize that no colorless deck in Constructed would want to maindeck it. It's obviously very good for Limited, but that format never had any impact on the financial side of Magic: The Gathering. Tron archetypes will most likely never play it due to availability of a huge pool of mana, which makes Ugin's passive redundant. While for other colorless staple archetypes this planeswalker would simply be too expensive for six mana. Of course, it could find its place in Standard, and if that's the case, then the price will stabilize at its current level. Otherwise, expect a significant drop. This is one of the best new lands in War of the Spark. It has a similar effect to Engineered Explosives, an artifact with extremely effective removal ability. Currently, Engineered Explosives stands at $40 a piece for an original Fifth Dawn printing. While Blast Zone may not be as fast as Engineered Explosives, the effect still guarantees a pretty high price point for the new land as well. The other reason why Engineered Explosives is so pricey is the ability to destroy tokens, which is something Blast Zone can't do, since it enters the battlefield with a counter already on it. That is why don't expect it to rise over $10 a piece, unless players find a simple way to remove the unwanted counter. War of the Spark is a highly anticipated Magic: The Gathering set, which offers players extra value with the inclusion of a guaranteed planeswalker card in each booster pack. This marketing strategy is one of the best Wizards of the Coast have ever undertaken. A vast number of planeswalkers in the set are really good, and the rest are definitely playable. There is already more value in this set than in any other Standard set for MtG. This doesn't mean that prices will not fluctuate, but this is probably the best time to do it if you ever wanted to invest in a Magic set. Hopefully, our list of the current most expensive cards in War of the Spark will help you make the right choice. Serbian indie studio Clock Drive Games has announced that its upcoming game, Warlander, will be coming to PlayStation 4 and Xbox One this year. 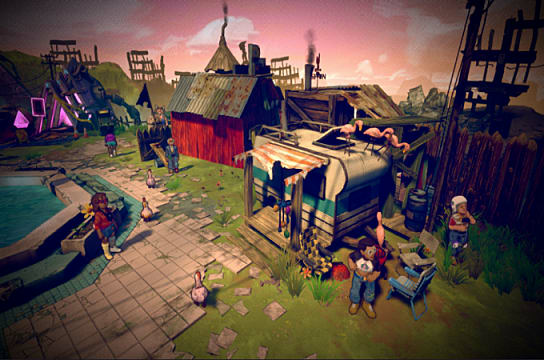 Previously, the game was slated for a PC-only release. Warlander is a dark fantasy ARPG, telling a tale of vengeance and betrayal with a faint promise of hope buried underneath it all. It also happens to be Clock Drive's debut game. 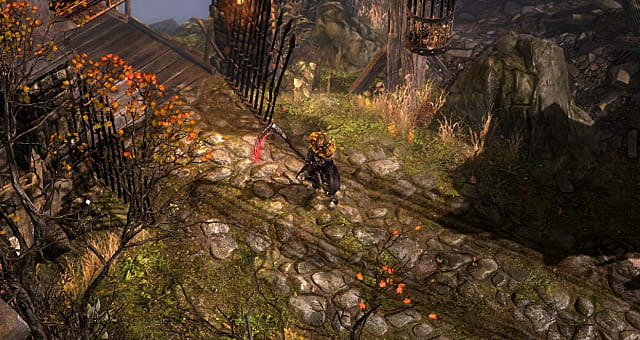 As one would expect from an ARPG, combat is at the game's core. Players will wield a weapon described as having a mind of its own, and one that can even use special abilities to alter the environment, making it into a weapon as well. All this is done to sacrifice monstrous enemies to the ancient gods and, thus, earn their pleasure. The actual fighting relies heavily on skill and employs a unique combination of "ragdoll physics and mesh slicing" to create the feel of cutting through real flesh. However, the hero's weapon is more than just a sentient piece of metal lusting for blood. It actually forges a relationship with the hero throughout the game. The storyline is fully voiced as well. 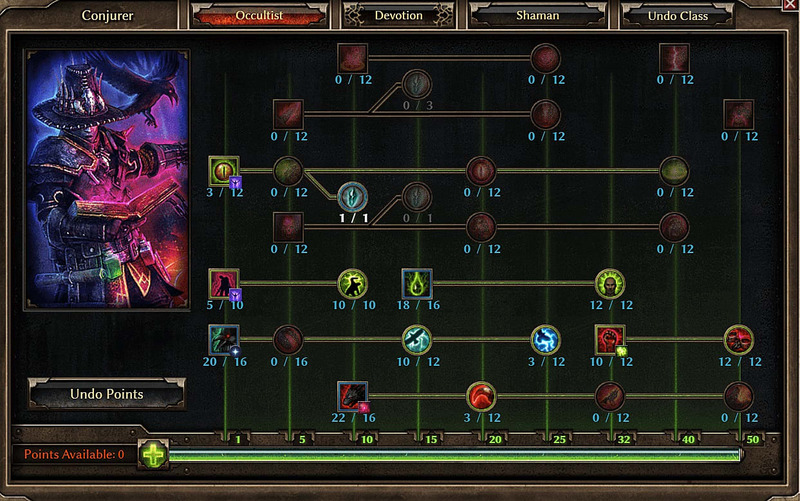 Another key feature is the progression system. Players will choose upgrades and skills from three different skill trees, and the dev team said the customization and diversity of skills will provide a good deal of replay value as well. 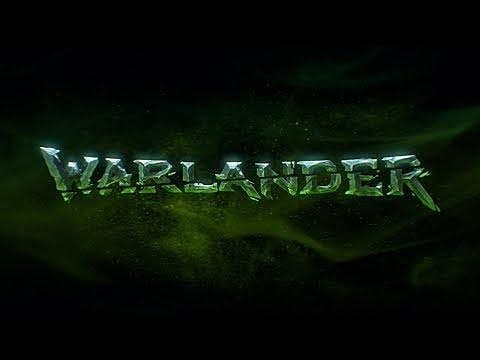 The games we drew inspiration from such as Metal Gear Rising: Revengeance, played beautifully on console so we’re aiming to bring that same rich and premium experience to the players, With deep RPG mechanics and incredibly smooth combat mechanics, Warlander will be a title with tons of replay value for our fans. 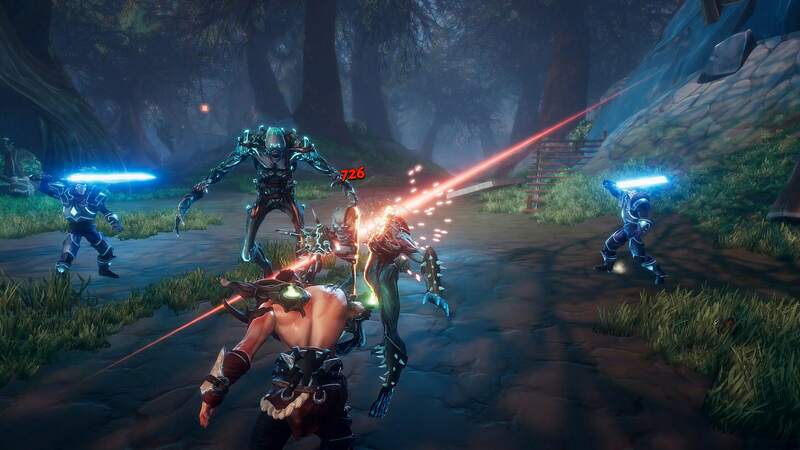 Having outlined Warlander's inspiration, though, Rajsic is keen to set it apart from other games, saying Clock Drive added its own twist to genre staples. Those interested in following Warlander's progress can do so via Discord, Facebook, and Twitter. 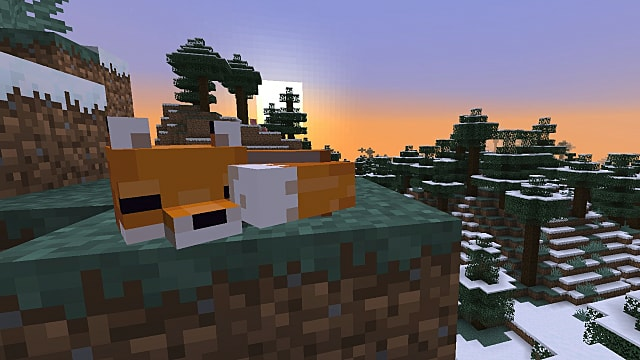 Minecraft Java players have just gotten the 1.14 patch, and with it comes some of the cutest animals in the game: Foxes! Luckily, they're not too hard to find and taming them is a snap. So let's first talk about where you can find foxes, then let's go into how to tame one to follow you around as a companion pet. All in all, it's pretty simple, and shouldn't be too hard to do on a new character. You'll have an easier time finding foxes at night, as they are mostly nocturnal like in real life. Arctic foxes are harder to find since they're only in snowy taiga biomes, which makes them all that much better to add to your collection! It's also good to know that when you breed a red fox and an arctic fox, you have a 50/50 chance of getting a fix kit of either color. You can gather sweet berries from the sweet berry bushes found scattered around taiga biomes, which is pretty convenient considering you'll be able to find foxes in the area. After you've followed these steps, the fox kit will be attached to you and will follow you wherever you go. Enjoy your newfound friend! If you enjoyed this guide, check out some of our Minecraft seed lists like our top picks for April 2019 seeds and stay tuned for further guides, news, and community lists for Minecraft here on GameSkinny! The sprawling grim dark fantasy ARPG Grim Dawn has seen quite a few changes both to existing masteries and loots drops in recent patches, but also with the addition of whole new masteries in the latest expansions. 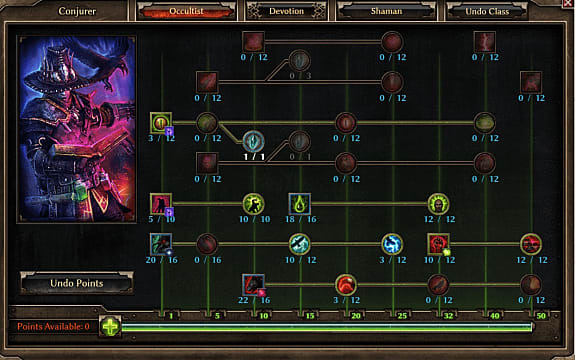 With those changes in mind, its time to update our guide to the best Grim Dawn builds. If you want to take a look, our previous version of the best build still has some solid tips if you want to try out a Warder character, although some of that info is now outdated. Up until the release of Forgotten Gods, one of the top damage dealing classes was easily the Cabalist (Necromancer + Occultist) with a focus on pets and chaos damage. Unfortunately, the latest patches have heavily nerfed chaos damage and items that boost chaos pet damage. While that's still a potentially viable build just for fun, we can't recommend it as an actual "best" build anymore at this point. Instead, we're going to look at three classes focused on melee attacks, undead pet summoning, and poison / acid damage. Based on personal play style preference, this is my current favorite build, although your mileage may vary if you don't care for melee combat or using a ton of pet summons. There's a dual focus here, first on summoning creatures to keep the enemy busy, then on two handed weapon attacks with internal trauma damage. It may seem strange to have two caster classes focused on physical attacks, but trust me, it works wonders. Internal trauma damage bypasses armor and continues dealing damage over time, making it very helpful with big tanky bosses. In terms of devotion points, Hammer gives you bonus internal trauma, while Shepherd's Crook is a must for the bonus to pets. Be sure to pick a devotion constellation tied to whatever 2 handed weapon type you end up using (Rhowan's Scepter gives a ton of internal trauma damage for maces). The goal with this build is to always have 8 skeletons, a briarthorn, a blight fiend, and a primal spirit to thin out the enemy while you go to town with a 2 handed weapon. Of course there are ways to tweak the skills if you want to focus more on pets than melee attacks, as Reaping Strike and Necrotic Edge can be swapped for maxing out the Blight Fiend and Briarthorn upgrade skills instead. So long as you buy faction items or equip items that that increase poison resistance, you'll even do very well in the harder Ashes Of Malmouth content like the Ancient Grove sealed dungeon. There are really only two main weaknesses to pay attention to here. 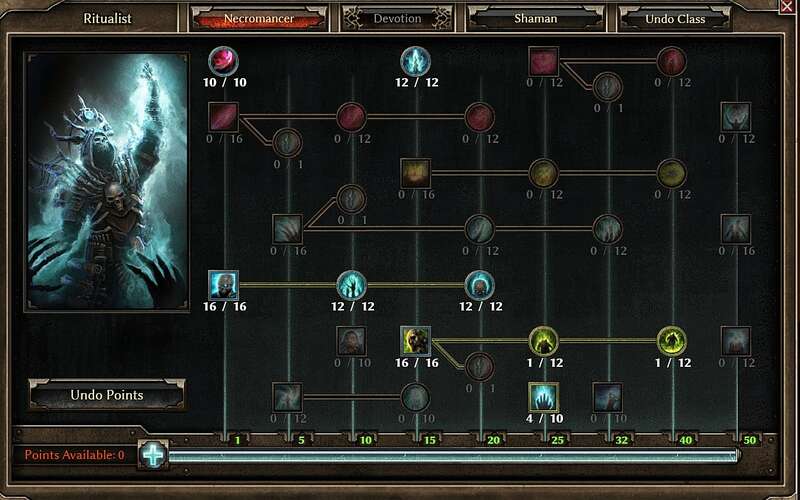 First up, the only place you are really going to struggle is with Father Kymon near the end of Forgotten Gods, who will be difficult to overcome with this build on epic and ultimate modes. Since Kymon can one shot many players with melee hits, you want to stay far away and let your pets do the work, or equip an item that gives you an extra ranged power to use while you hide in the area's entrance. Second, while this build will see you surrounded by a horde of pets, unfortunately it doesn't have quite enough summoning potential to actually unlock the Pet Hoarder achievement... unless you manage to find a significant number of loot drops that give you bonus summoning powers. As a brand new mastery, the player base is still trying to figure out the best secondary class and skill load out for the Oathkeeper, and many players are convinced only Soldier or Demolitionist are viable options. They are dead wrong (at least for the moment before any future patches). The Oathkeeper has excellent synergy with poison and acid when paired with the Nighblade mastery. To get the most use out of this build, obviously you are going to want to equip any items that increase your overall acid damage. In terms of devotions, make sure you pick up Rat, Eye Of The Guardian, Scorpion, Manticore, Murmur, Abomination, and Yugol The Insatiable Night for maximum acid damage output. Ghoul also works well, since it gives you some healing while attacking capability for survival. Switching between Amastara's Blade Burst and the Righteous Fervor attacks can result in crazy damage to just about any enemy as poison and acid eat away at health. Don't forget to summon your Guardian so he can also go out and perform area burst acid attacks! The main downside here is a lack of crit percentage, but with how much poison, acid, bleed, and internal trauma damage you will be dealing, it isn't that much of a weakness. For maximum damage output, don't forget to grab those Dreeg-focused faction items that add in additional poison/acid damage to whatever dual wielding weapons you are using. A lot of the pet builds were sadly diminished with the Forgotten Gods expansion, but this one remains viable if you play it right. 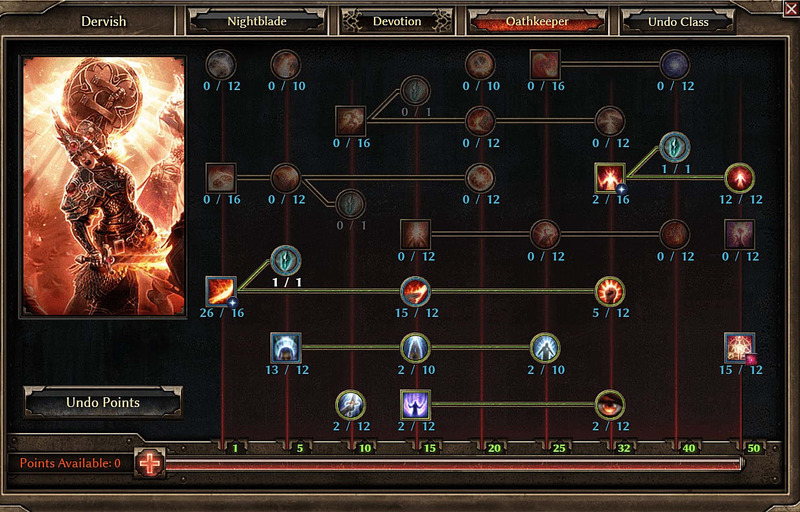 A counterpoint to the Ritualist, this mastery combo is mostly about summoning creatures and letting them do the damage, while then lowering enemy resistances so your summons can tear at them with damage types like acid, cold, lightning, etc. For devotion points, Ulzuin's Torch is a great idea that can be bound to any of your summon skills, as it eventually gives you the chance to randomly call down a high damage meteor swarm with any basic attack. Other than that, Behemoth, Jackal, and Rhowan's Crown are all critical for the bonuses to pets. Finally, don't forget Modgrogen the Wolf, as the final star on that devotion constellation gives you Howl Of Mogrdogen for a big bonus to your pets. Your focus here is on getting as many pets on the screen as possible that all deal elemental damage, while you then use your Occultist abilities to lower the resistances of any enemies. The main weakness is that your character won't be directly dealing a ton of damage, and of course you don't have a ton of defense. Just make sure to always be on the lookout for any equipment that gives pet bonuses, elemental damage bonuses, or debuffs the enemy. Want to see what builds other players have come up with? 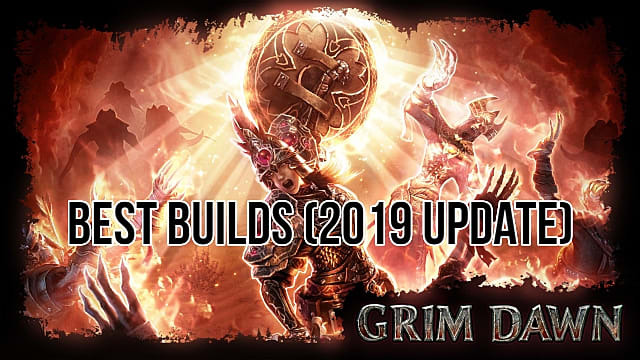 The Grim Dawn build compendium over in the game's official forums are a great place to start. However, keep in mind that many of those builds revolve heavily around using very specific equipment, which you may not be able to get since loot is random. Many custom stages are re-creating classic scenes or characters, from 8-bit Mario and Link to Kirby stages and more. This one takes on the ambitious task of re-imagining an early first Pokemon battle, making good use of the foreground and background elements to do so. Distance drawing is obviously rather difficult to realize with stage creation, so putting Squirtle in the background helps achieve the same affect without sacrificing the feel of the source material. Charmander's flaming tail is particularly appreciated and actually serves to limit recovery options should you fall off the top left platform. The stage background itself is fitting, too, since this is very much in the same vein as the first stage and Final Destination: no traps, no gimmicks, just two big platforms, some height variation, and a lotta smashing. Like the Dr. Phil stage, one of the main draws here is atmosphere (though admittedly of a rather different kind than the Dr. Phil stage). This stage combines the best of nostalgia for those of us who grew up with original Pokemon Red and Blue, with a similar appeal from the simple-yet-solid mechanics and stage design so common with earlier Smash games. It's hard to pick just 10 stages from a huge and ever-growing list of Smash Bros. stage builder creations, but there you have it — our top 10 choices for now. Whether it's dancing on the frozen tears of Waluigi or falling to your doom in warp-trap hell, hopefully, these stages give you some ideas of your own to share with the world too. This is a really good trick stage. The title hints that it's going to be one of the many stages re-creating the Switch itself in handheld mode, but obviously, that's not what it does. It's a stage full of switches instead. The best part? They do absolutely nothing when activated. Invite a friend and don't tell them, then sit back and watch the fun. Or if you want to enjoy it like a decent human being, that's fine too, because there's a good stage without the switch-y deception. As you can see, falling off a platform gives you a good chance of landing in lava or a cannon that might shoot you off-screen. There is some deception there too, though. The cannons are positioned to where they just shoot you into the magma for the most part. Anticipating a bigger blast means your first reaction is to try and move or jump, which ends up positioning you in or right near the next cannon anyway. There are a lot of outlandish custom Smash stages, but this is certainly one of the more... interesting ones. The man's face resembles a mid-20th-Century cartoon design. Despite being a little creepy, it's actually quite good, particularly the use of texture and how the hair was handled. What message Danny is trying to send to us about him isn't as clear, though. Is he lonely? Did he turn to grapes to heal his lonely heart? Or is he choosing grapes over loneliness? We may never know. At the very least, it makes for a varied Smash match. The three main surfaces lend themselves to different kinds of combat, so it's never a dull moment with Mr. Thing. Hurling foes off the grapes is satisfying in itself. However, the lonely letters make for a different kind of fight that mixes offense and defense and forces you to use powerful moves to get opponents out from their alphabetic trenches. Or if you want, there's the more traditional kind of brawl waiting for you on top of the hair. The Octo Calamari stage is a nicely balanced example of how several features come together effectively. It's nice to see a central Splatoon theme included in a quieter fashion as well, unlike, say, Dr. Phil. This one is a more straightforward stage without specific gimmicks meant to alter your experience. You've got several platforms to fight on, but the gray ones and larger green block are the only stable ones. The round pink platform that seems it would be the perfect recovery tool rotates, which makes grabbing on rather more difficult than you might think at first. Those two blue ones don't offer firm footing either. One of the things that makes this stage worthwhile is the second main platform towards the stage's bottom. These out of the way areas aren't too common in Smash stages; the Temple of Time and Palutena's Temple come to mind, but not many others. Off-center fighting areas like this are perfect for larger matches if you're trying to lure a single fighter to you or want the added risk of being so near the boundaries. The warp points deserve attention too. A lot of creations are using them, but not necessarily in an effective way. These actually add to the experience because while they do transport you away from immediate danger, they also put you in a dangerous position. Poor Waluigi. All one of his friends, plus every enemy, joins the fun in Smash, while he's left by himself in a support trophy container. This rendition of a very sad Waluigi probably isn't far off the mark for everyone's favorite purple anti-hero. There are other Waluigi stages, but this one breaks the fourth wall so well and encapsulates the general mood surrounding his absence from Smash. The use of background elements is noteworthy too. Plus it's a fun stage with a lot of movement. The shorter platforms don't work for long, drawn-out combat. You'll either get knocked off or move about to escape and draw your foe into a fight on your own ground. The lower levels might look slippery, but they actually aren't, which provides an additional fighting area away from the main focus. There's just enough room between the bottom-most platform and Waluigi's crystallized tears to make recovery difficult for hurled opponents. Waluigi's nose, left 'stache, and hat brim are another good risk area. The space is small, and there's hardly anything to break a fall to the left. A strong smash could send an opponent flying off-screen or at least force them to climb all the way back up, granting a major advantage to whoever occupies the hat. Pls Dont Fall is another stage built around challenge and careful movement. There are very few actual spaces for combat, which makes this stage perfect for heavy hitting melee fighters like King K. Rool and Link. That being said, it lends itself to characters with very good recovery, too, like Kirby and...Kirby. That's because falling off the platforms almost inevitably means losing a point. It's possible to try and reach the warp point, but it just throws you out to the left by the icy-looking platform, which is pretty difficult (read: almost impossible) to get back from. The canons are one major reason why. As you can see, each points to the center of the map. Most chuck you into the left warp point, but the others shoot you out to fry in the central magma pool. Even if you make it out, there's no helpful canon to get you back into the action. This is also an example of how devious bumpers can be. There's a 50/50 chance the stage's bumpers will keep you from the death trap, depending on how you hit them and how fast you react. It's brutal, but it certainly keeps players on their toes. Sanic might not be quite as ubiquitous as SpongeBob in the custom creations area, but there are quite a few of them roaming about. This is one of the better ones for a few reasons. The first is that you can't help but look at it and think "Gotta Go Fast." It embodies everything meme-ish about Sanic, and he just looks so earnest and determined. It's a good rendering of an intentionally bad illustration as well, which is interesting in itself. Fortunately, it doesn't just look amusing. It sets itself apart from other Sanic stages by making for a good Smash arena. The screenshot doesn't quite show it, but anything behind Sanic gets blown back to the left by a surprisingly strong wind. The front side isn't affected though (which would seem like an oversight on the creator's part, but this is Sanic after all). Any battle naturally becomes a scramble to remain on the top or the right, then. Accidentally jumping too far, getting tossed off-screen, or starting on the left makes remaining in the fight pretty difficult. It also gives players an extra focal point in battle as they try to push opponents off Sanic's head. Molten Moonlit is one of many molten-themed stages, and they all present unique strengths with how they place their lava traps. Moonlit is a bit different, though, and really lends itself to a sudden death style match or one-on-one combat (or a four-person match if you like chaos). For one thing, those two platforms you see are essentially the only landscape you get for fighting. The earthen platform up top isn't practical to reach, though you could with certain characters like Kirby. Jump too high or get tossed too far off the stage, and you get punished with the lava chunks. Apart from making combat a bit more difficult than usual, the way the stage is set up means damage counts are going to get a lot higher, since there are only a few openings out of the molten center. The effects Ohyou used make the stage stand out as well. The metal platforms shine in the "moonlight", and there's a nifty blur effect as you run around on them, mimicking the heat blur you'd expect from being so near a hot surface. It was bound to happen eventually. There's already a Steve Harvey and some other daytime television notables, so Dr. Phil couldn't be too far away. The likeness is uncanny. Well, not completely, because Dr. Phil's eyes don't pop out of his head. But it's pretty impressive how a few textures, colors, and well-placed bits of virtual hair can strongly resemble something in real life. Like Sanic (featured later in this list), this stage isn't just for looks. It's a solid Smash stage as well. The letters spelling his name serve as useful side platforms for escaping the melee if need be or storming back in from above. They also act as a hindrance if you're trying to get back to the middle of the stage, but can simultaneously keep you from getting launched too far. The eye parts and mustache are handy regular platforms not unlike something you'd see in a Sora-built Smash stage. Unlike World of Bump, the Dr. Phil stage is focused solely on hand-to-hand combat, with no gimmicks getting in the way of the showdown except the name from time to time. Just try not to think about how your every move is being evaluated by a trained TV psychologist. World of Bump is pretty impressive for a few reasons. What initially looks like a haphazard mess is actually a carefully planned layout of bumpers that adds a nice layer of difficulty to each match. It's possible to begin a fight without being affected by the bumpers, but inevitably, you'll get tossed around as the fracas progresses. The spacing is enough so it's not an endless bounce, though; there's a chance to recover and hop in between the other bumpers. It's actually an effective way of getting players used to how each character moves and how to vary jump heights and ranges. The ones on the edge of the stage are the most interesting, though. If you've played Smash even a little, chances are, you know how it works when a foe chucks a bumper on the edge. You'll either get a nice recovery bounce, or you're chucked down to your doom. That's basically every time characters fall off the stage here. Expect plenty of score variations in World of Bump and some hectic, frenetic matches on whole. At long last, Super Smash Bros. 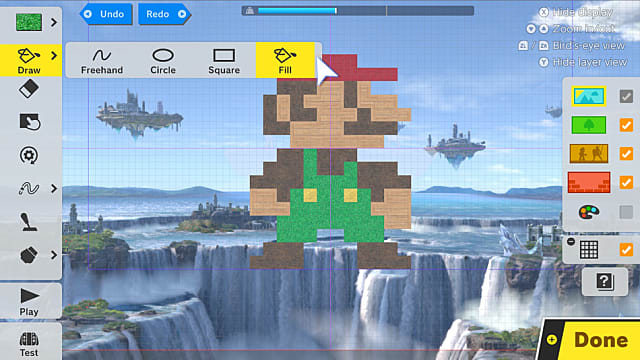 Ultimate fans have access to the Stage Builder mode once more. It was a staple feature in Brawl and the Wii U installment, but with no mention of anything like it from Nintendo when the game first launched, many wondered if we'd ever see it again. It's a robust mode too, letting players experiment with foreground and background elements to create interesting features and pretty much opening the door to whatever takes the player's fancy at the time. Naturally that leads to some unique creations and lessons in anatomy, but there are a lot of interesting and just plain fun stages as well. This list compiles 10 of the best in those latter categories. Some are quirky, some are just plain weird, and others demonstrate solid design principles. Overall, though, each stage, however varied they may be, makes for a different kind of Smash match, from those suited to tense death-match style fights to others emphasizing movement and strategy to overcome tricky obstacles. On May 31, Snail Games will release its voxel-based sandbox survival game PixARK upon the world, bringing it to Steam, PlayStation 4, Xbox One, and Nintendo Switch. 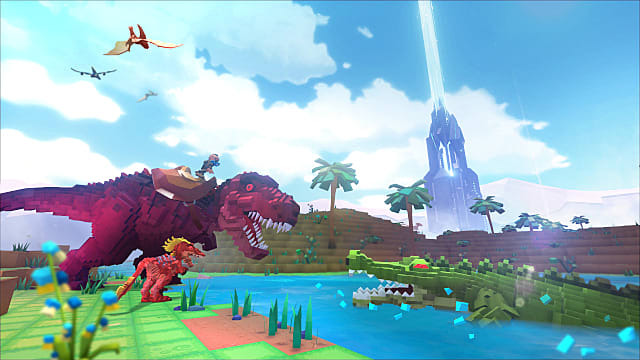 The game, which is a voxel take on the ARK survival games takes players to a world filled with great variety, from the landscape to the creatures that inhabit it. In order to survive in PixARK, players must tame the creatures and the land, craft everything they need, and build a nice safe base in which to reside. 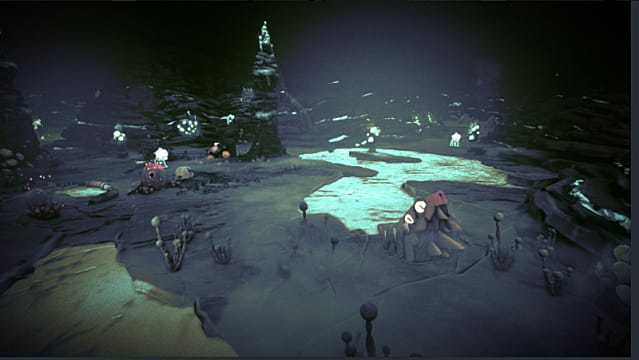 The game offers players an infinite amount of maps and procedurally generated quests. The game provides even more variety by allowing players to team up and form a tribe, unless they'd rather go it alone. 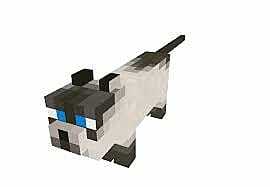 As with most voxel-based games, players can build almost anything they want. They'll gather materials and craft everything from tools -- both technological and magical -- to giant fortresses. In their spare time, players can explore, delving into undiscovered areas. A big focus of PixARK will be taming animals. Players won't be just killing them in standard online quest fashion, but actually capturing and making them your allies. They'll even be able to ride some of these creatures, including dragons and dinosaurs. Currently, PixARK is available on PC as an Early Access game. This means that while the game hasn't officially launched, those willing to risk playing a game that's still being developed have been able to get a bit of a head start. Thanks to that, those looking to pick up PixARK at launch will have a good bit of information on the game -- including a large selection of guides right here on GameSkinny. For those who haven't yet grabbed the game and don't want to wait to grab it on PC, PixARK can still be purchased as an Early Access offering for $24.99. This price may change a bit once the game officially releases. As promised, Atlus provided a new info dump on Persona 5: The Royal during day one of the Persona Super Live concert. The information and trailer cover new story scenarios and gameplay elements, new frenemy Kasumi Yoshizawa, and much more. 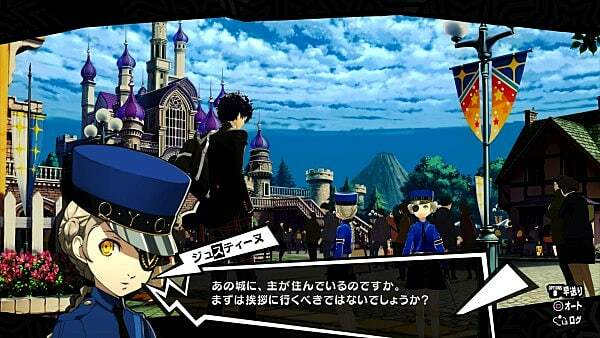 All this confirms The Royal is an enhanced version of Persona 5, rather than a spinoff title. The trailer is, of course, entirely in Japanese, but Gematsu provided a translation of the Persona 5: The Royal website information that was updated to accompany the trailer. Kasumi Yoshizawa, the female character introduced in March, isn't a new protagonist. Instead, she's a transfer student who admires the main character but seems to dislike the Phantom Thieves on the whole. Whether she turns out to be an enemy or ally remains to be seen, according to Atlus. 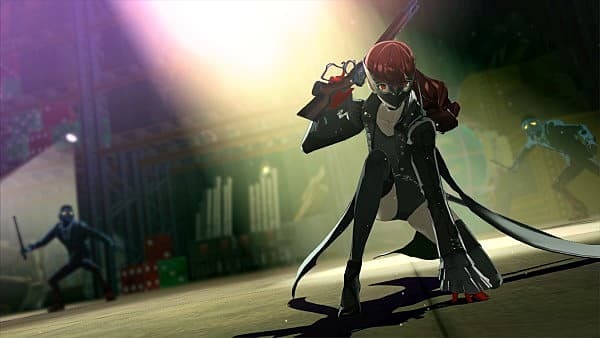 However, one of the new screenshots does show her in attire similar to the Phantom Thieves. The Royal also introduces a new Confidant (P5's Social Links) in Takuto Maruki. He's a part-time counselor hired based on concerns students voiced in April — in other words, because of Kamoshida. His Arcana is listed as "Le Consultant," which is new both to Persona and tarot Arcana in general. 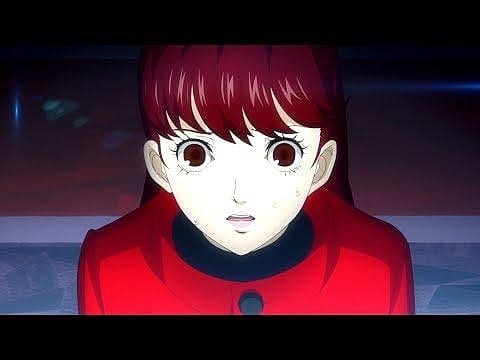 Like Persona 4 Golden before it, The Royal will let players experience what happens after December, in the untold third semester. Twitter user MysticDistance translated the information as it was being broadcast and found Atlus may just be teasing a human form for Morgana as well. On the website, the image being translated comes alongside the information about the third semester, so perhaps Morgana is getting more attention this go around as well. Players can look forward to new date spots. In a throwback to Persona 3's special moments with Elizabeth and Theodore, the main character will also be able to date the twins, Carolina and Justine. Screenshots do show Kasumi as a dating partner, too, but whether she represents an Arcana like other love interests traditionally do in the series wasn't mentioned. New foes and new battle strategies will be introduced, in addition to a new event in the Velvet Room and new treasures in each Palace. Along with these things comes a few quality of life enhancements. The game will provide suggestions for players to improve their stats and Confidant relationships, and there will be an auto-read feature added too. Finally, the game boasts new original songs, BGM tracks, and opening vocals. Persona 5: The Royal launches exclusively for PlayStation 4 in Japan on October 31 this year. However, Atlus announced a 2020 release date for North America and Europe. More information is expected to come on May 9. BioWare's latest game, Anthem, is getting a slight change in its content roadmap, with the team prioritizing bug fixes over new content in the near future. 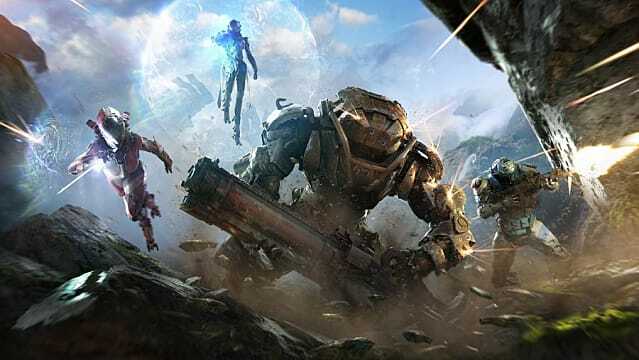 The company's lead producer and head of live services took to Reddit yesterday to give a general update fans on how the development team plans to handle Anthem in the coming months. They said the severity and volume of bugs means the best choice moving forward is to delay already-announced content for Act 1. Most of these, particularly the Cataclysm, are connected to endgame content, which many claim there isn't enough of. It's not a completely unexpected move, either. 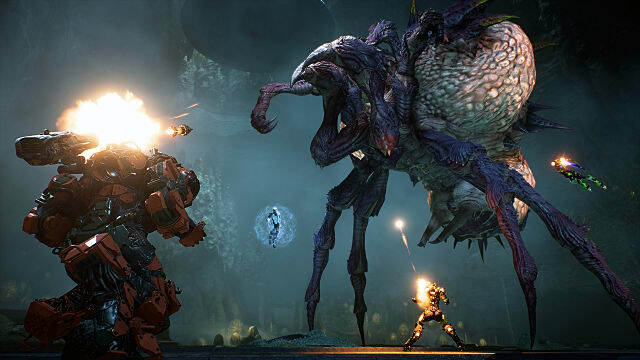 Anthem was February's best-selling game, but the bugs and problems with it were fairly substantial from the beginning. The team also provided updates for a few more specific changes they plan on making. The first is the loot system. The post recognizes problems with it and acknowledges there are problems with it that need fixing. At this point there isn't anything they said could be shared. However, future updates are planned. 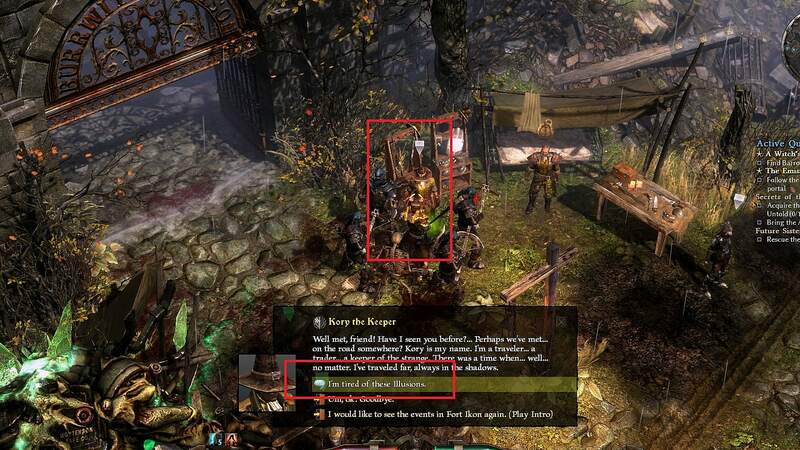 That communication pattern of not sharing too much information is another aspect BioWare plans to tweak. The team believes a significant part of fans' disappointment stems from BioWare sharing too many details about planned content too early. When problems or bugs arise, as they have done already, the team has to delay the promised content, which angers fans. Responses to the update suggest a different problem, though. Most fans are claiming the issue isn't bad communication or lack of content; it's the base game not delivering the promises BioWare made back at last year's E3. This isn't an issue unique to BioWare, though. Hello Games encountered a similar problem with No Man's Sky when it first launched and didn't meet players' expectations. Now, though, it's a well-established game with a host of new content planned for the summer. This page may contain a few affiliate links. While we love Ramen noodles and other cheap gas station food, we also enjoy the occasional ribeye or plate of delicious Pad Thai. So, if you happen to purchase anything through this page, we may receive an infinitesimal commission. Our reviews and opinions are not influenced by these partnerships. For more, read our Terms of Service. Mortal Kombat 11 just released, but the newest fighting game in NetherRealm's storied catalog is already deeply discounted on several storefronts. Currently, Amazon is offering the game for $49.99 on the PS4, Xbox One, and Nintendo Switch. 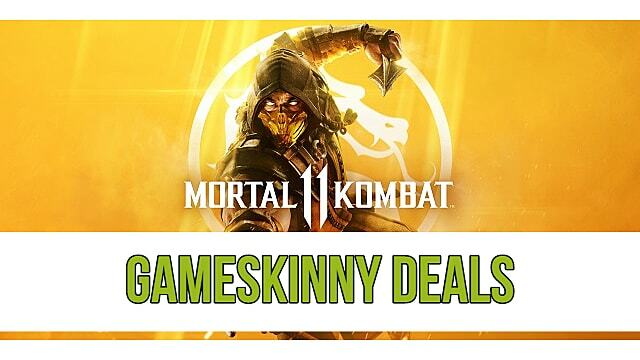 That's $10 off MK11's original list price. There is no confirmation if this is a permanent price drop by the online retailer or simply a timed special. The best part is that the $10 discount applies to the game's premium edition and the Amazon special edition. You can pick up each edition by following the links below. Additionally, the fighter is currently available for PC on Green Man Gaming at a steep discount as part of the retailer's Spring Sale. Currently, MK11's standard and premium editions are discounted 25% on the storefront, bringing each to $44.99 and $74.99 respectively. Edit: Seems like the below code (WB25) is no longer available. However, you can enter the code WB25 to get another 25% off, bringing the standard edition to $33.74 and the premium edition to $56.24 — both ludicrous prices for a game that just released. Green Man Gaming's spring sale lasts until April 30. Although this isn't technically a discount, Target is offering buyers a $10 gift card when they purchase any version of MK11. You can find the deal here. While our writer is still working on our Mortal Kombat 11 review, many fans and critics have already weighed in, mostly praising the newest fighter from NetherRealm Studios. However, some have voiced concern over the game's difficulty and economy. Luckily, Ed Boon, co-creator of Mortal Kombat and creative director at NetherRealm, confirmed via Twitter that a fix was incoming "soon". 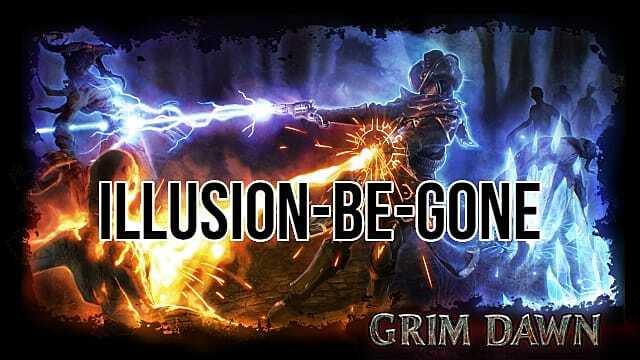 As development on Grim Dawn has been active since the game released in 2016, a huge amount of new equipment and loot has become available to perfect your character build (if you have the patience to grind for it). With a host of new items and mastery classes arriving in recent patches and DLC content, anyone coming back into the game after a lengthy period away may not know what everything is meant to actually do. 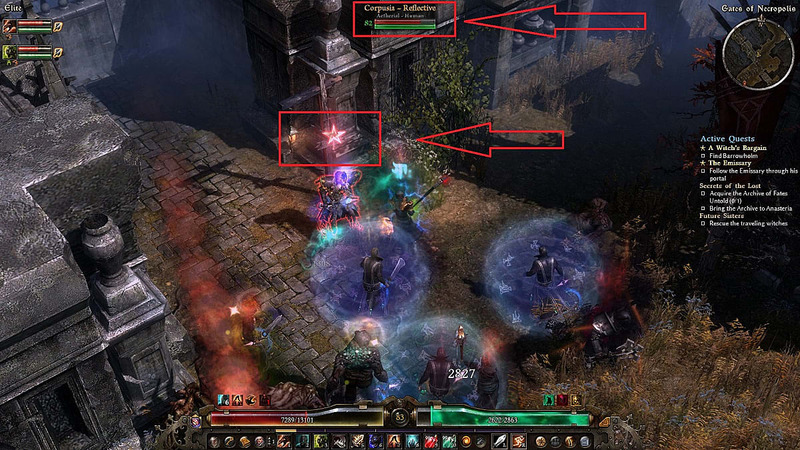 Much like the transmogrification from Diablo or similar effects from a host of other ARPGs, Grim Dawn added in the ability to change the appearance of equipment with the Ashes Of Malmouth and Forgotten Gods expansions. Your perfect equipment lineup may give the stats you need but not give you the visual aesthetic you want, which is where illusions come in handy. But what about when you no longer want an illusion in place? That's where you need to grab yourself an Illusion-Be-Gone. Adding illusions to your inventory in Grim Dawn is fairly expensive at 6,911 iron bits a pop. That's a total of more than 50,000 iron bits if you put an illusion on every piece of equipment and are using a shield or dual wielding. Rather than spending more iron bits to change the illusion back to its original appearance, you can use the Illusion-Be-Gone item to automatically remove a single illusion on any piece of equipment. This works on weapons and armor. To use it, just right click the Illusion-Be-Gone jar, then left click whatever inventory item has the illusion you don't want to use anymore (just like if you were adding a component to a piece of equipment). Want to grab an Illusion-Be-Gone? They don't cost anything and are available for free from Kory The Keeper, who stands in front of the main gates to Devil's Crossing (right next to the salvage dealer). This is who previously handed out backer rewards to players who supported Grim Dawn's development on Kickstarter. After approaching Kory The Keeper, choose the dialog prompt "I'm tired of these illusions" followed by "Receive Illusion-Be-Gone" and Illusion-Be-Gone will be added to your inventory immediately. Unfortunately, you can only grab one at a time from him, since you need to following a dialog prompt to get them. He also won't give you a new one until you use the old one. Weirdly, you can't buy them in bulk anywhere at the moment, so you have to remove illusions one by one. An Illusion-Be-Gone takes up four squares in your inventory, so I recommend dropping it into smuggler's item stash until you actually want to use it to ditch any given illusion. Note that since Illusion-Be-Gone is a soul bound item, it can't be placed in the item transfer chests in the smuggler menu for transferring to another character. That's not a problem though, because you can just grab another one for free from Kory with your other characters at any time. A new headset has been added to SteelSeries' already impressive Arctis gaming headset lineup. Today, the company revealed the Arctis 9X, created specifically for the Xbox One. This is the first ever Arctis headset designed for the console, and it features Xbox Wireless connectivity, allowing for easy setup. It also includes Bluetooth audio. The Arctis 9X connects to the Xbox One the same way a wireless controller does, allowing players to get it connected and start using it almost immediately. It doesn't require a dongle to work on the console since it's been fully integrated with the console. This connectivity has been made possible thanks to Microsoft working with SteelSeries to build the 9X "from the ground up." According to Steel Series Senior Product Category Manager of Audio, Brian Fallon, the partnership resulted in, "the highest quality implementation of the Xbox Wireless connection seen on an Xbox headset to-date." Other features of the headset include dual wireless technology and a retractable ClearCast microphone with noise cancellation. The dual wireless tech allows Xbox One players to use the headset with other devices via Bluetooth without having to disconnect from the Xbox. This means they can take calls, listen to music, or use VoIP while still receiving audio from their game. An added benefit is that the Arctis 9X can be used with any Bluetooth device such as a cell phone on the go. No Xbox One is needed. Since the 9X is part of the Arctis family, it also uses the Arctis soundscape tech to emphasize more subtle but important sounds. That means players should be able to pick up audio clues in games that they might otherwise miss while playing. As for keeping the 9X powered, the device delivers a reported 20 hours of battery life. So forgetful players don't need to worry if they skip charging it every once in a while. 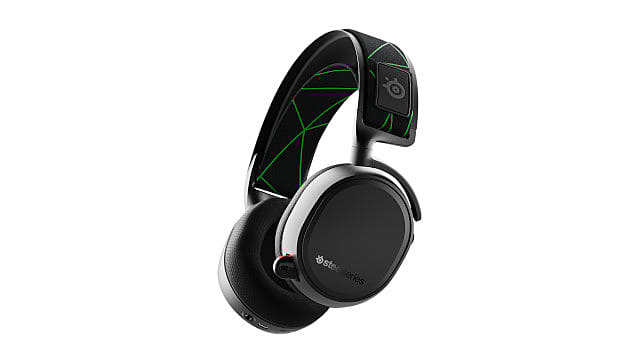 Those interested in picking up the SteelSeries Arctis 9X can do so on the SteelSeries site. The headset is priced at $199.99. Once upon a time, Steam was the only digital games storefront to provide its users with deep discounts on titles old and new. However, over the past several years, that's started to change, with Sony and Microsoft getting in on the action. While there was a time when PlayStation's sales and Sony's PlayStation Plus offerings were laughable, that's no longer the case. 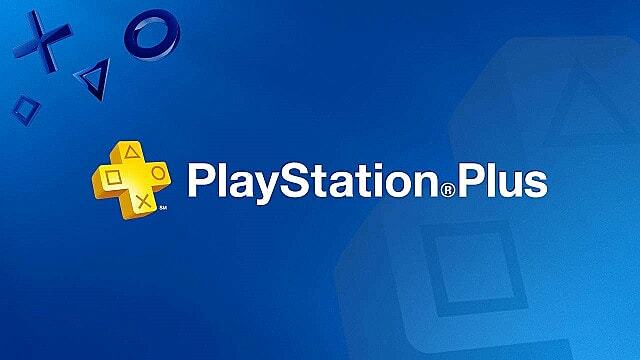 These days, PS Plus sales are well worth paying attention to. From now until April 30 at 11 a.m. EDT, PlayStation Plus members can get up to 80% off a number of high-quality titles, recent releases, and indie gems. That's not including this month's free offerings of Conan Exiles and The Surge. Below, we'll highlight some of the better offerings available, including those for the PS4, PS3, and PSVR. Some highlights include Assassin's Creed Origins, Battlefield V, Shenmue I + II, and the Dead Space trilogy. Each game is linked to its PlayStation Store page. Additionally, some games have multiple editions, many of which are also discounted and can be found on the store. For a complete list of all 264 discounted games on sale, check out the PlayStation Store. Mojang recently announced a hefty new update for Minecraft's Bedrock edition. Called Village & Pillage, the update adheres to essentially every platform for which Minecraft exists, including PC, Xbox One, PlayStation 4, Nintendo Switch, Windows 10, iOS, Android, and Java. The update introduces several new mechanics, overhauls the village system, and provides new achievements, among many other things. To start with, the villages themselves are now more varied, matching whatever biomes in which they spawn, with architecture specific to plains, desert, taiga, and savannah. Villagers have new jobs, and their clothing reflects both those jobs and the biome in which they live — even Zombie Villagers. The update provides many smaller quality of life changes for villagers as well, such as making them sleep in their beds and improving their pathfinding abilities. A new set of changes improving the village trading system is included too, and should players wish for all their villagers to immediately run inside their houses, they can ring a Bell to grant that wish. Some of the new villager jobs and their associated job sites benefit players as well, including the Cartography Table, Blast Furnace, and Smoker. 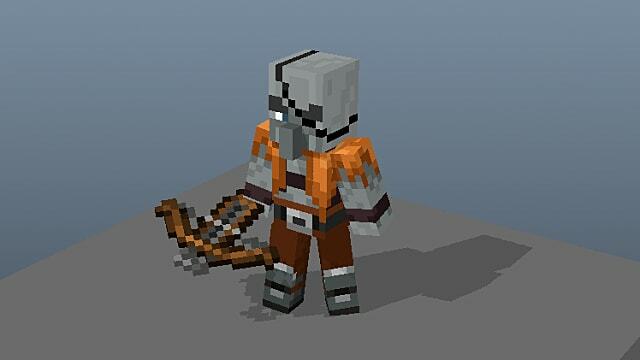 As the update name indicates, the other half of the update focuses on Pillagers, a brand-new Illager type with smaller noses and reduced intelligence. While not the most capable of foes, these Pillagers swarm villages under certain conditions. Should players encounter an Illager mob around one of the new outpost towers and slay the Illager Captain, a Bad Omen descends on them. Entering a village with a Bad Omen triggers a raid, where waves of Pillager enemies descend on the hapless village. Successfully defending the village earns the player the Hero of the Village title, which grants various discounts during trade with those villagers. Sweet Berries have been added as a new food in the taiga biomes, while campfires can now be used to light the night and a home or cook some food. The new achievements revolve around the Pillager portion of the update — for defeating a captain, saving a village, and so on. There is one exception, though: one new achievement is granted when players befriend cats, of which there can now be more. Mojang said the update should be live on all supported platforms now, but if it isn't, then players should check their downloads and wait a bit longer. The full patch notes, including bug fixes and all the minute details, can be found here. We may be a ways off from colonizing and turning Mars green in real life, but Surviving Mars owners will be able to simulate the whole process soon enough. 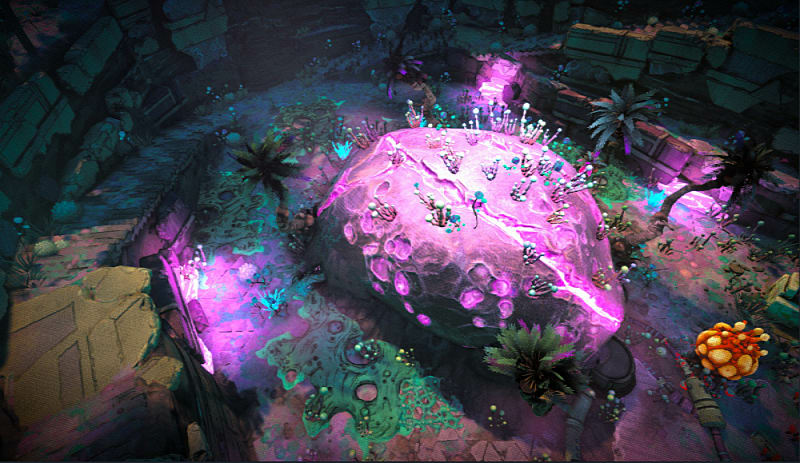 The game's much-anticipated Green Planet expansion has been announced for release on May 16. Surviving Mars: Green Planet promises to bring the (almost) full experience of taking the giant inhospitable space rock that is Mars and turning it into a lush planet that can be widely populated. Humanity's endgame, if you will. 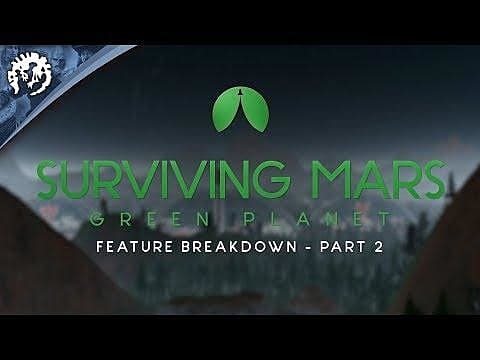 Green Planet will introduce terraforming to the Surviving Mars formula, adding a whole new stage of depth of management to the game that will ultimately give players something to truly do once they have their colony up and running. Turning the red planet green isn't easy, and that's proven by the new terraforming resources players will have to manage in the expansion, including areas' atmosphere, temperature, moisture, and other further in-depth aspects as the planet changes. Check out the below tutorial from Paradox Interactive to see some of these things in action. They're crazy cool. Of course, the expansion will also have new special projects, climate calamities, buildings, and more to go with the game's new endgame direction. That's not all they have in store for the game, though. Surviving Mars will also be getting a DLC called the Project Laika content pack. Project Laika will bring up to eight different animals to the game for players to raise on Mars for food and 25 different animals as pets, which will roam the landscape once it's lush enough. Surviving Mars owners will be able to pick up the Green Planet expansion for $19.99 and the Project Laika pack for $5.99 on May 16. Both will be available for purchase together as a bundle for $23.90, a tad bit cheaper for these seemingly both worthwhile additions to Haemimont's Mars colony manager. The cost of a new Liliana planeswalker is pretty high. But Vraska, Relic Seeker proved that six-mana planeswalkers have the right to live in Standard, if the power level is high enough. Her ultimate ability is especially strong, as it removes lands as well, which is basically game-winning at that point. But she could be simply used for her card draw and sacrifice abilities alone, as those two pretty much control the game on their own. 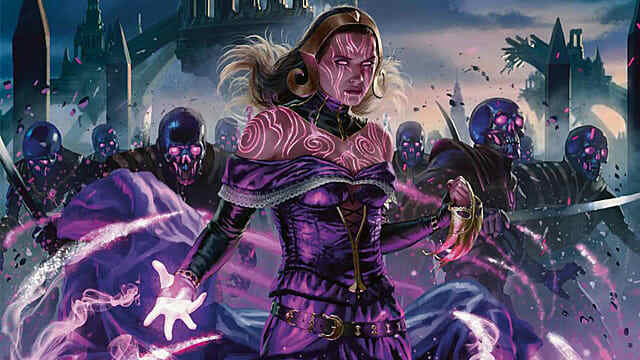 So if you are looking for an extra planeswalker for your control deck, then look no further than Liliana, Dreadhorde General. Besides three incredibly strong active abilities the brand new Nicol Bolas planeswalker has the most overpowered passive in War of the Spark. Being able to use any other planeswalker's abilities, including opponent's, is just outright ridiculous. This in combination with The Elderspell is a surefire winning combo. By the way, for this to work you don't even need your opponent to play planeswalkers, you could just destroy your own for those sweet eight loyalty counters on Nicol Bolas. Of course, if there is a legendary creature on the battlefield, then you will need to find the way to remove it, too. But that is not a problem if you run Spark Harvest. Here's a card that deals with all those pesky token-based decks. This means that Massacre Girl might not be the best maindeck choice, but it is a definite sideboard bomb. She could be casually run as a one-off in maindeck as well, since running a 4/4 with menace for five mana is just really good. Massacre Girl is basically Ritual of Soot with a body, which makes it a highly desirable choice for superfriends decks that don't run that many creatures, but would like to deploy a few threats against curve-based creature decks. This is the god that replaced Hazoret in the War of the Spark set. It has the same cost, but the effect and the power level have been creeped up. You can run this one equally successfully in all types of red decks from aggro to control. It is also extremely hard to remove, unless you play cards that can discard it from opponent's hand or straight-up counterspell it. That is why it would be smart to play it alongside Rhythm of the Wild, which deals with counterspells and gives it Haste. So it looks like Gruul lists will benefit the most from Ilharg, the Raze-Boar. Last season was full of mono red decks running Experimental Frenzy, an enchantment that allows you to play cards from the top of your library. But there is a significant drawback in it, which forbids you to play cards from your hand. Chandra, Fire Artisan solves this problem and allows you to do both on the same turn. If you manage to protect it long enough, then it will also deal seven damage using her minus ability. But she also deals damage in case she gets attacked or damaged by non-creature spells. Either way Chandra is a real powerhouse for aggressive red decks, and those have always been top-tier choices in Magic: The Gathering. Jeskai players have been waiting for this card for a long time. It basically preserves all your Dive Down spells, and can be even used to a great effect with Thrash. Another great choice for this card would be Essence Capture, a counterspell that also puts +1/+1 counter on your creature, which is especially relevant in the War of the Spark meta. It'll keep you supplied with counterspells until Feather, the Redeemed stays on board, and will help you grow it bigger as time passes by. But this doesn't mean that it can't be used in straight-up Boros Aggro decks. On the contrary, you will see it more often than you would expect. With the inclusion of so many new planeswalkers, it's no secret that War of the Spark meta will be populated with planeswalker-heavy lists. This knowledge will prompt many players to include The Elderspell into their sideboards. It is clearly a very powerful removal spell that can be also used to a great effect in a main deck. In that case you also need to run Nicol Bolas, Dragon-God, then wait for the right moment, and finally use its minus eight ability to win the game. But as already mentioned, this will be mainly used in sideboards as one of the best tools against superfriend decks. Magic players who had the chance to play Heart of Kiran during the Kaladesh block know too well how strong an ability to remove counters instead of paying mana can be. But Heart of Kiran was limited only to planeswalker counters, while Soul Diviner can remove counters of any types from creatures, lands, artifacts, and planeswalkers. Also, there is no cost involved in drawing the cards, so this is clearly a very powerful draw effect with no drawbacks. Grixis Midrange and Control players will definitely play Soul Diviner alongside the new Blast Zone land and a few other spells with Amass. Here's another one-mana common, but this time it's a removal spell that would definitely fit any Aristocrats deck. There is also a possibility of fitting it into a more combo-oriented sacrifice deck that generates damage by killing off your own creatures. It's the kind of deck that uses Cruel Celebrant and Mayhem Devil. This means that Spark Harvest will find its way into several different lists that run a lot of sacrificeable tokens/creatures. But even if you don't have anything to sacrifice on the battlefield, then paying four mana for a removal spell is a totally fair deal. This little buddy doesn't have a terribly wide range of applications, but it doesn't have to be anything else but a great one-drop for Rakdos Aristocrats or Mardu Aggro lists that run Judith, the Scourge Diva and Tajic, Legion's End. The Haste part is what sells this card, just like it was the case with Fanatical Firebrand. But it also has Lifelink, which signals the possible use of Ajani Pridemate in lists that also run Legion's Landing. Of course, it's important to have this in the opening hand and let it accelerate your damage from the very beginning of the match-up. But if you happen to draw it later, make sure that it has some buffs added to it so it can be viable in later turns as well. 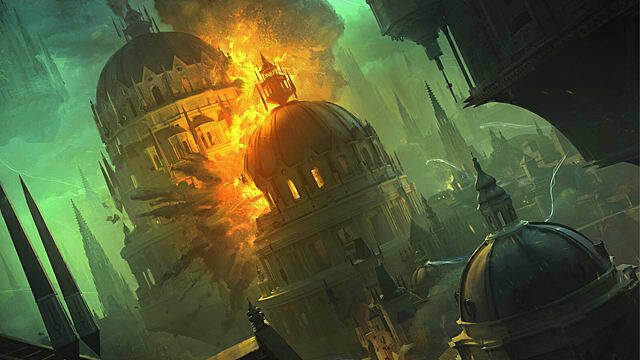 There are several really exciting new lands in War of the Spark, and it looks like Karn's Bastion is going to go into all Proliferate-based decks in Standard. It's not just a land, which comes into play untapped, it's also a repeatable spell/utility that can make all your creatures and planeswalkers grow every turn. The two best archetypes for Karn's Bastion are Green-White Tokens and Abzan Superfriends. The first one will use the Bastion for growing creatures/tokens, and the second one is focused around keeping planeswalkers alive and exploiting their powerful minus abilities. Also, if you have additional tools to untap your lands at your end steps, such as Wilderness Reclamation, then you could use the Proliferate ability twice a turn. Since it was announced that War of the Spark, would include 36 planeswalkers, the newest Magic: The Gathering card expansion instantly became the most anticipated set in years. This opens up a vast pool of possibilities for superfriends decks in Standard for sure. But there are also other great cards in the new set, which could easily replace the tried-and-tested bombs of the past sets. If you regularly play Standard in MtG, then be sure to check out this list of the best cards in War of the Spark that should help you build more powerful decks and easily subdue the new meta. Bandai Namco and Double Fine Productions released a new batch of screenshots for their upcoming rogue-like game RAD, showcasing some of the varied environments players can expect to traverse through when the game launches sometime this summer. Billy, the town farmer if he only had something to plant. The second biome received the most attention, though. It highlights a major theme in the game: the further RAD ventures into the Wastelands, the more dangerous they become, thanks to the higher levels of corruption. It's these environments that eventually end up taking their toll on the main character himself (also referred to as RAD in the trailer). As the recently released announcement trailer showed, RAD centers around one young boy's journey to save the world from facing its third round of complete destruction. The goal is bringing lush, green life back to the barren world. To do that, players combat creatures mutated by toxins and restore life to ruins, which in turn seems to purify that specific area. However, there's a catch. RAD brings life back to the world, but, like the monsters, he suffers from exposure to the toxins he fights. This exposure leads to various mutations at different times, giving RAD new body parts or even completely transforming him into a new creature. The benefit of this is instead of using only his trusty bat, or whatever he has to hand, RAD gains new powers and abilities to help overcome the obstacles he faces. RAD is expected to launch this summer on PC via Steam, Xbox One, PlayStation 4, and Nintendo Switch. 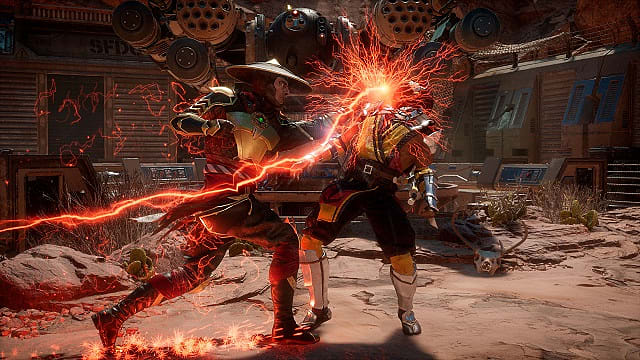 Mortal Kombat 11 may have just released today for PC, PS4, Xbox One, and Nintendo Switch, but that doesn't mean that developer NetherRealm Studios isn't still hard at work making the fighting game the best it can be. 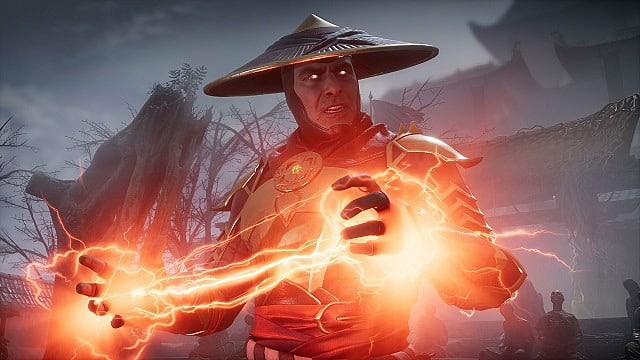 As reported by IGN, the developer plans to release a patch which aims to amend the game's Towers of Time game mode as well as the MK11's economy. Taking to Twitter earlier today, Ed Boon, co-creator of Mortal Kombat and creative director at NetherRealm, said that a "hot fix" is inbound, and that it should arrive sometime very, very soon. In case you missed yesterday’s Kombat Kast: We have a hot fix/improvements koming to address those super hard Towers of Time as well as better rewards/economy to be used in the Krypt. Hoping/expecting it’ll be more like HOURS than days. The patch comes after some early adopters have voiced concerns over the difficulty and balance of the game's Towers of Time mode, a combat ladder similar to tower modes in previous series installments. Reports have indicated that the game mode forces players into certain playstyles, unfairly penalizes players with low drop rates, and improperly measures in-game timers, leading some players to lose tower progress because they did not move fast enough through the game's trials. Further, others have lamented that MK11's Krypt presents a series of "content grind walls" riddled with RNG and microtransactions. Here, certain unlockables, such as artwork and even Fatalities, are locked behind random drops and paywalls. However, it is worth noting that Boon's Twitter statement did not mention microtransactions. Currently, there is no word on when the patch will release or exactly what it will fix in regards to the two modes in Mortal Kombat 11. 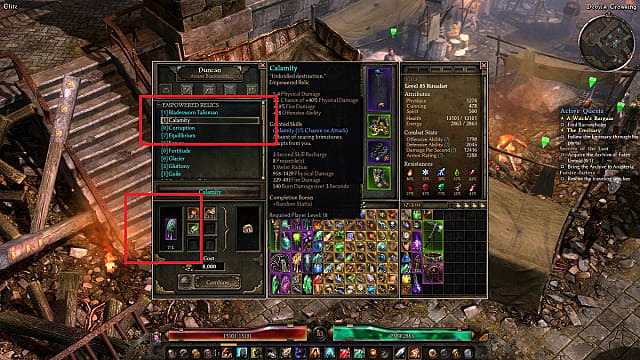 As an action RPG filled to the brim with random loot drops, building the perfect Grim Dawn character is a heavily RNG-focused prospect as you hope for the best weapons and rare crafting materials to magically appear after slaughtering a horde of creatures. All of the rare crafting materials such as Tainted Brain Matter, Blood Of Ch'thon, and Ancient Hearts (very) occasionally drop from heroic chests, end boss chests, and one shot chests. In particular, I've had success finding Tainted Brain Matter after defeating The Master Of Flesh and opening the chests labeled as The Master's Trove at the end of Ashes of Malmouth. The locked chests that have to be opened with dynamite in Deadman's Gulch also occasionally drop them. Frankly, the percentage chance on chests is low enough that its more of a "Hey, cool, it finally dropped," than anything that can be reliably farmed, however, so this isn't the best way to go about finding rare crafting ingredients. Battling a star marked heroic atherial. 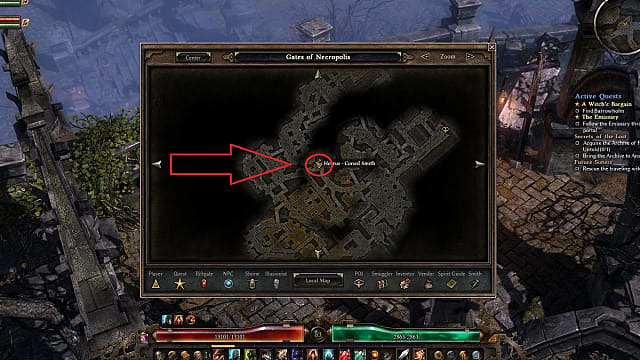 The best spots to find plenty of these are types of enemies are The Hidden Laboratory (Act I), the Gates Of Necropolis (Act IV), Port Valbury (the roguelike challenge dungeon in Act III) and any area in the city of Malmouth (Ashes Of Malmouth expansion). Warden Krieg in the Hidden Laboratory near the end of Act I is by far the best boss to farm at lower levels, because you get plenty of potential aetherial hero spawns along the way to fighting him. No matter where you go to find aetherials for farming Tainted Brain Matter, it is critical to note that this rare crafting component will not drop from creatures that are 10 or more levels below your character level. Why does that matter? Because each difficulty level of the game has level caps for creatures in specific areas. This is easily the top reason why new players can't ever seem to find Tainted Brain Matter no matter how many aetherials they kill. If you've already hit level 65 - 70, then you simply can't farm Tainted Brain Matter on normal mode any longer. At that point, it's time to move up to epic difficulty and replay the campaign until you reach areas with aetherial and aether corruption heroes. Horrus the Cursed Smith found to the north of the rift gate at the Gates Of Necropolis (near the end of Act IV in the base campaign) will trade items for Tainted Brain Matter, which sounds like the quickest and easiest way to get them, right? Well, it's less easy than you may think, because he will only trade other rare crafting materials, which obviously also drop very infrequently. If you've been playing through areas heavy with chthonic enemies however, you may have extra Blood Of Ch'thon for trading. 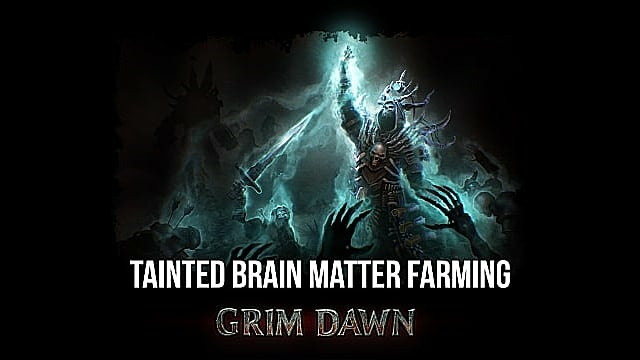 What Is Tainted Brain Matter Used For In Grim Dawn? In addition to completing the Tainted Brains faction bounty in Devil's Crossing, the main usage for Tainted Brain Matter is crafting legendary equipment and relics. Note that you unlock the Relic From The Past achievement when first crafting an empowered relic (which will probably include Tainted Brain Matter, since that's the earliest rare crafting material to drop). Have you found any other treasure chests or locations that seem to drop Tainted Brain Matter more frequently? Let us know in the comments! Although critics have so far been divided on the recently-released World War Z game, fans have flocked to the title in droves. Just one week after launch, and World War Z has already sold 1 million units across all platforms, including PC, PS4, and Xbox One. 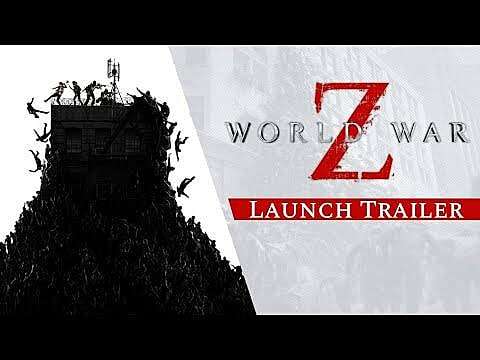 Speaking of the milestone in a press release, Saber Interactive CEO Matthew Karch said that the company was thankful for the reception fans have given World War Z. He added that the Epic Games Store played a role in the achievement. We are humbled and thrilled by the immense success so far of World War Z, especially on PC thanks to the tremendous support of the Epic Games Store. Karch continued by telling us that World War Z is the company's fastest-selling game, and that the company expects even bigger milestones to be reached in the near future. We didn’t have week one numbers on the Master Chief Collection or Combat Evolved Anniversary but other than that, this is definitely our fastest selling game. It isn’t our bestselling one yet but we expect it will be by the end of the quarter. In February, Saber Interactive confirmed that World War Z would join The Division 2 and Metro Exodus as Epic Games Store exclusives. While some gamers lamented the move as an increasing trend of developers leaving Steam behind, the exclusivity deal between Epic Games and Saber Interactive doesn't seem to have hurt the game's sales on PC. Attached to the sales announcement was mention of further updates to the co-op zombie shooter. While Karch wasn't terribly specific about what's to come for World War Z, he did say that future patches and updates would focus on "content" and "improvements" for both the game's PvE and PvEvP modes. Moving forward, we’ll continue to expand the game and its community with new improvements, stability updates, and bonus gameplay content, beginning very soon with a special new mission for the Tokyo episode. In our review of World War Z, we said that while the game can be "quite entertaining with all its large-scale glory, good graphics, and abundance of classes", we also acknowledged that it could get repetitive because of its lack of content, among a few other small hiccups. World War Z is currently available for PC for $34.99 on the Epic Games Store. It is also available on the PS4 and Xbox One for $39.99. For those just playing the game, we have a handful of tips and tricks available over on our World War Z guides page, including which classes are best for PvE and PvEvP, and what builds are worth focusing on.